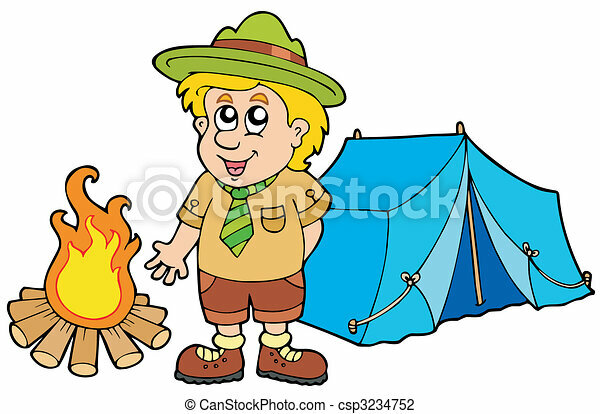 Scout with tent and fire - vector illustration. 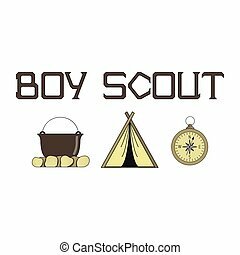 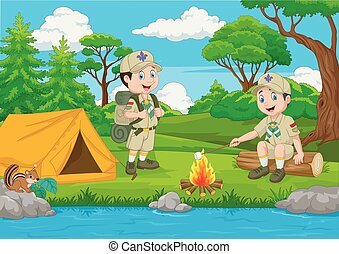 Bright illustration for boy scouts with a tent, a fire, and a compass. 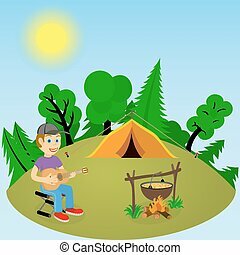 Young guy with a guitar in a forest glade near the fire and tent. 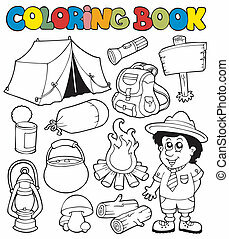 Color illustration on a blue background. Happy young man with backpack on the background of the mountain landscape. 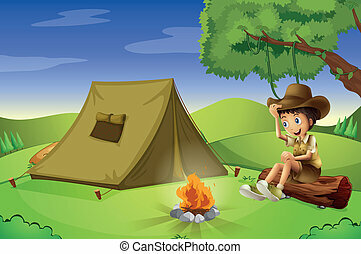 Fire and tent. 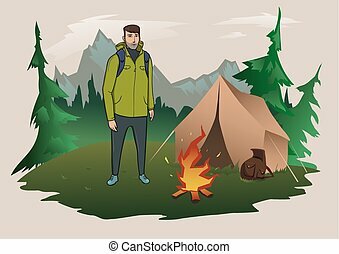 Mountain tourism, hiking, active outdoor recreation. 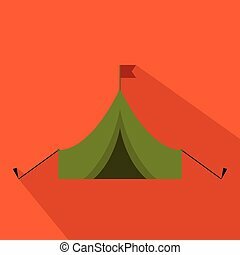 Vector illustration, isolated on light background. 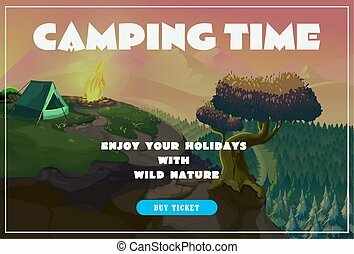 Man camping in nature with fire in front of the tent, traveling and relaxing concept, summer vacations vector Illustration isolated on a white background. 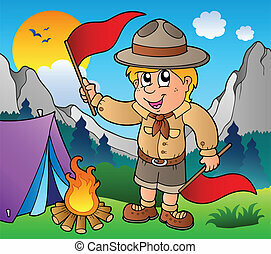 Scout boy with flags outdoor - vector illustration. 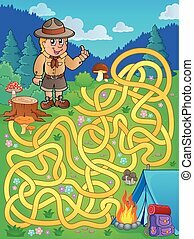 Maze 1 with scout boy - eps10 vector illustration. 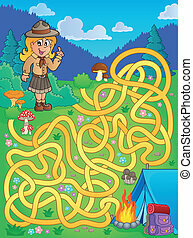 Maze 1 with scout girl - eps10 vector illustration. 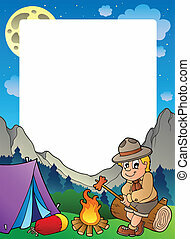 Parchment with scout by campfire - eps10 vector illustration. 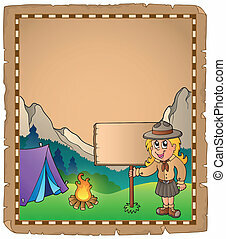 Summer frame with scout theme 2 - vector illustration. 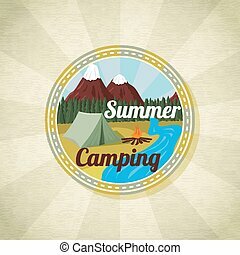 Summer frame with scout theme 3 - vector illustration. 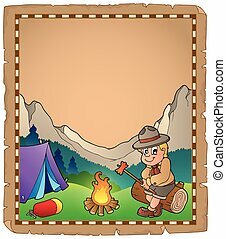 Summer frame with scout theme 1 - vector illustration. 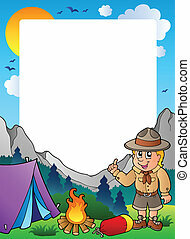 Parchment with scout boy and board - eps10 vector illustration. 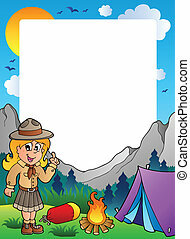 Parchment with scout girl and board - eps10 vector illustration. 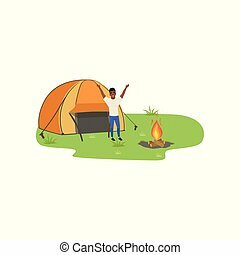 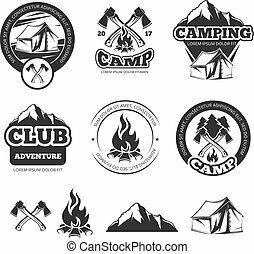 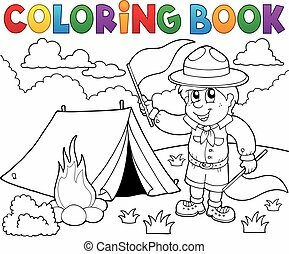 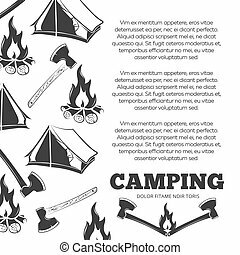 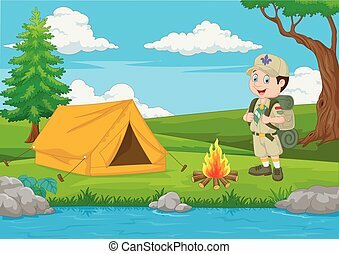 Coloring book with camping images - vector illustration.